The Sims 4 Seasons Expansion Pack is hitting the Xbox One / PS4 shelves just months after its release to PC and Mac. 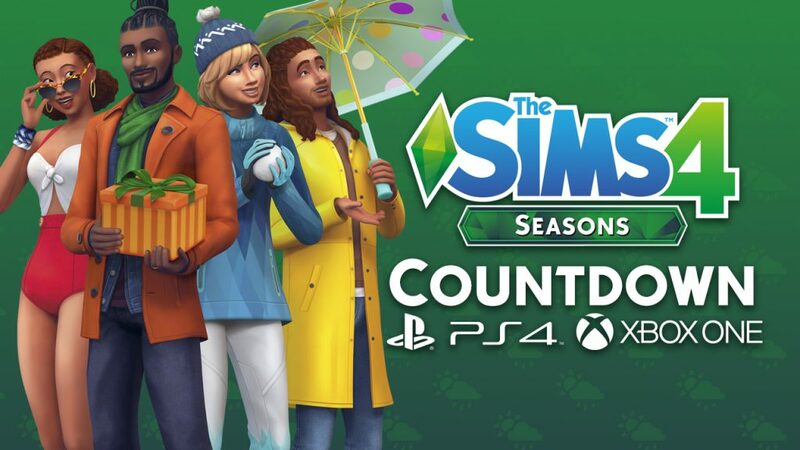 The official date of the release for Seasons on Consoles is November 13th, 2018. If we take in consideration the release times for previous EPs for Consoles, we could expect the pack to come out at 10AM PT / 7PM CET / 6PM BT. Yup, we too know that time zones can get really confusing which is why we’ve provided you with a countdown that you can track until the pack fully comes available for both consoles! OMG, I am wayyy to excited! Thanks for the Countdown Jovan, what a brilliant idea – makes me even more excited. Please please please do these countdowns for every major Sim release (console). What time for me from OH? WHEN IT’S UP, IMMA BE BUYING ITTTT!!!!!! !